Claire has been a qualified Montessori teacher and Nursery Nurse for over twenty years. Claire's career with children began when she volunteered as an aid worker in a Romanian orphanage. Following her training she worked in, and managed several nurseries before working as a lecturer of the Montessori Method for London Montessori Centre both in the UK and Asia. Claire worked as an Early Years Consultant for London Montessori Centre until she set up TCG in 1998 in Stamford. Claire set up The Ark Nursery in Stamford in 2006, where she also worked until early 2013. Claire studied Naturopathy and Nutrition at the London at the College of Naturopathic Medicine, and she has qualified as a Naturopath with a special interest in family nutrition for health. Claire spends most of her time researching children's health and education and bringing innovative ideas to the nursery and spent a sabbatical researching education at Bali Green School in Indonesia for several months. This amazing experience of outdoors and hands-on, nature-based learning influences much of our approach. Her research continued around Australia and New Zealand, visiting schools and educators while road-schooling her own children. She is passionate about enquiry-based learning, and bases her ethos on the fact that children are intrinsically motivated to understand the environment around them. Claire is currently studying Mindfulness and its application in early years, and acts as a consultant to the Norfolk and Romania-based FARA charity which supports Romanian orphans and young people. Ed has spent most of his career working on outdoor magazines such as TRAIL and Country Walking. His career has led him to spend large amounts of time outdoors and under canvas, lead treks in Europe and test mountain equipment. 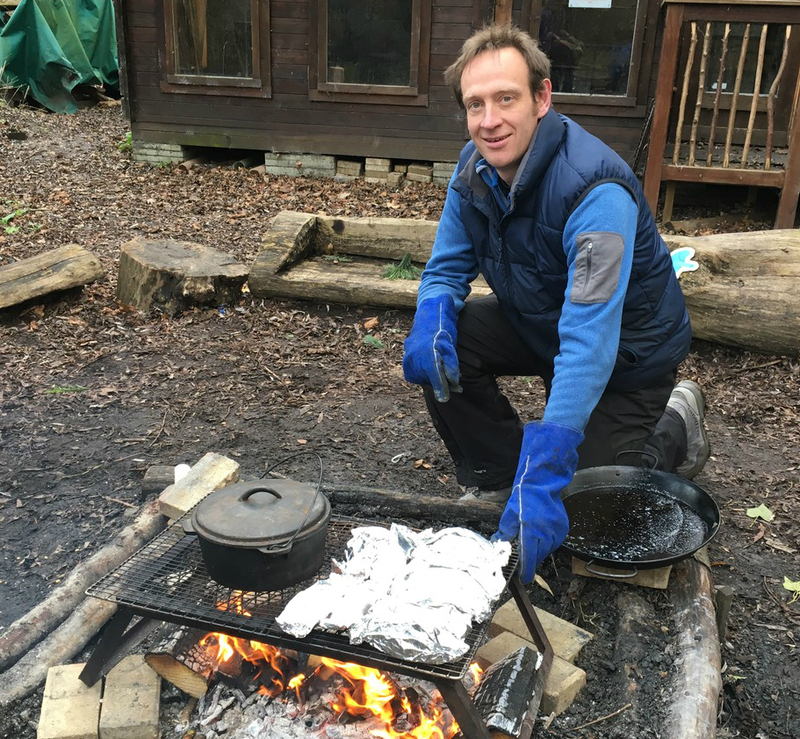 He is both Bushcraft and Forest School trained, and a member of the Institute for Outdoor Learning. Ed completed the ‘Green Educator Course’ at The Green School in Bali, Indonesia in June 2013 and he brings exceptional knowledge and experience to our Outdoor Education and Forest School. Ed is interested in the benefits of managed risk in play and encourages the children to safely explore their limits, increasing independence, self-motivation and respect, as well as enabling them to recognise risk in order to keep themselves safe.